Got any plans next Saturday 16th September? Well now ya do! We’re exhibiting at Viva! 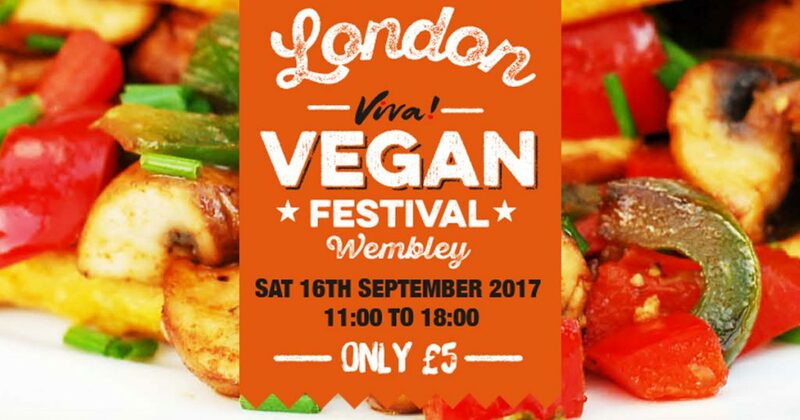 Vegan Festival in Wembley and we’d love to see you there! We’ll be bringing a load of our gorgeous bakes including a taste of our refined sugar free items and bakes free from gluten! Ms. Cupcake herself, Mellissa Morgan, will be doing a live ‘Vegan Baking 101’ demo on the day at 1.00pm in Room 3. So make sure you remember to pay her a visit and learn loads of helpful tips to get you baking like a pro! As well as ourselves, there’ll be loads of other stalls where you can taste amazing vegan foods and international dishes, receive nutritional guidance and pick up free recipes and factsheets! Standard entry is £5 on the door and under 16’s gain free entry! The festival is being held at The Drum at Wembley from 11am – 6pm . You can find out more info about the festival and how to get there on the Viva! website here. This entry was posted on Thursday, September 7th, 2017 at 4:01 pm and is filed under Cupcake News. You can follow any responses to this entry through the RSS 2.0 feed. Both comments and pings are currently closed.